Columbus, Ohio, is known for a few things. It's the capital city of Ohio, and also the largest city in the state. It's known for sports-centric The Ohio State University (yes, the “The” is actually part of the university's name). And the Columbus Zoo, along with its Director Emeritus Jack Hanna, is world famous, especially for its gorillas. Most people in Ohio know these things about Columbus. They've probably visited at least once to go to the zoo, or to check out an exhibit at COSI (Columbus' hands-on science museum). They've maybe even seen the famous Buckeyes play at Ohio Stadium. 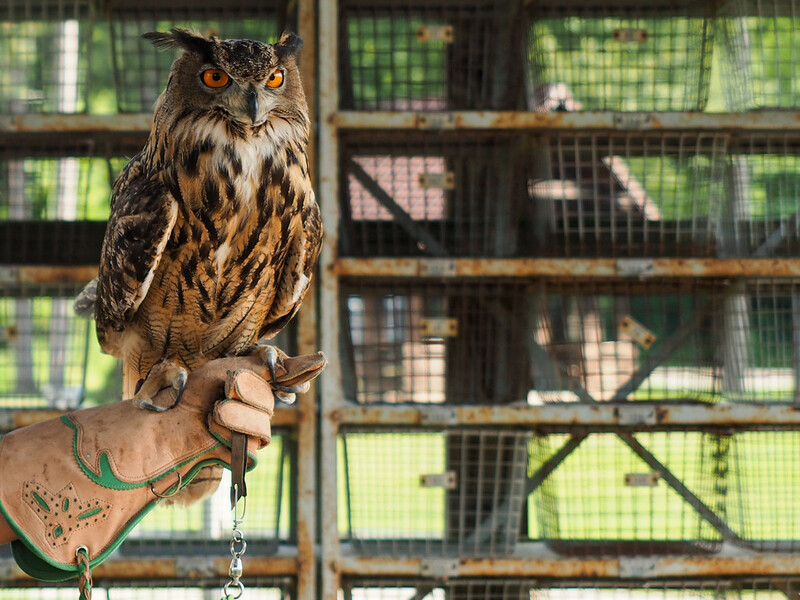 But I'll bet not all Ohioans know that you can take a falconry class, see a topiary park, or visit up to 41 craft breweries in the greater Columbus area. 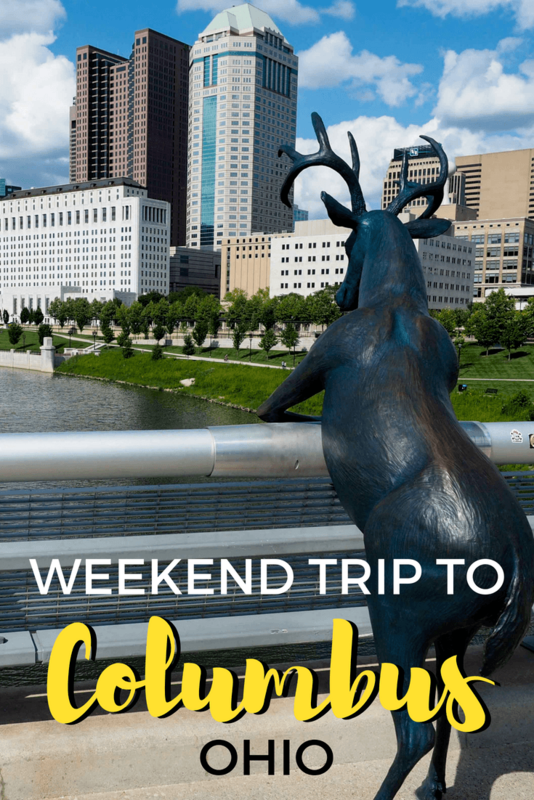 When my husband, Elliot, and I started talking about planning a little weekend getaway to Columbus this summer, I knew we didn't want to just do “the usual” things in Columbus. And as we started researching some of the more unusual/unique things to do in Columbus, a theme began to emerge: from axe throwing to falconry to distillery tours, our weekend began to take on a distinctly “manly” trajectory. So we decided to just embrace it. 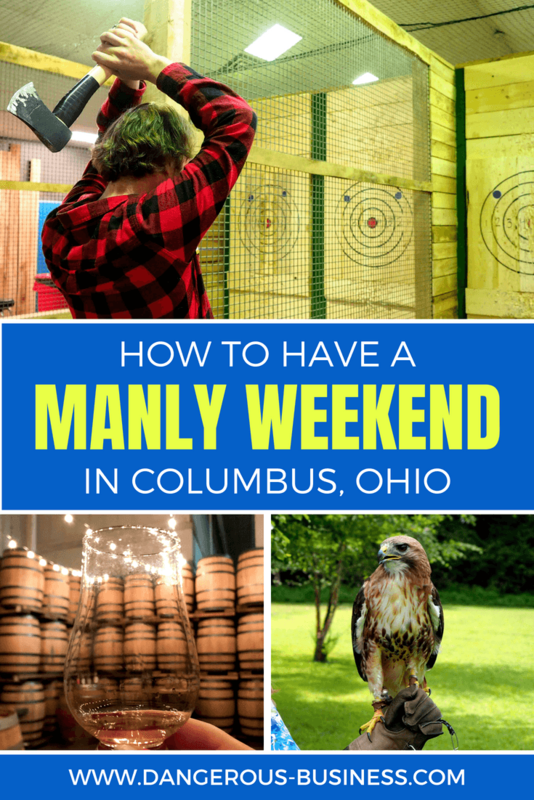 Whether you're planning a bachelor party in Columbus, or just a fun couples' getaway like we did, here's how to have a “manly weekend” in Columbus. After driving 2 hours down to Columbus and checking in to our hotel, we headed downtown to take advantage of the nice late afternoon weather. 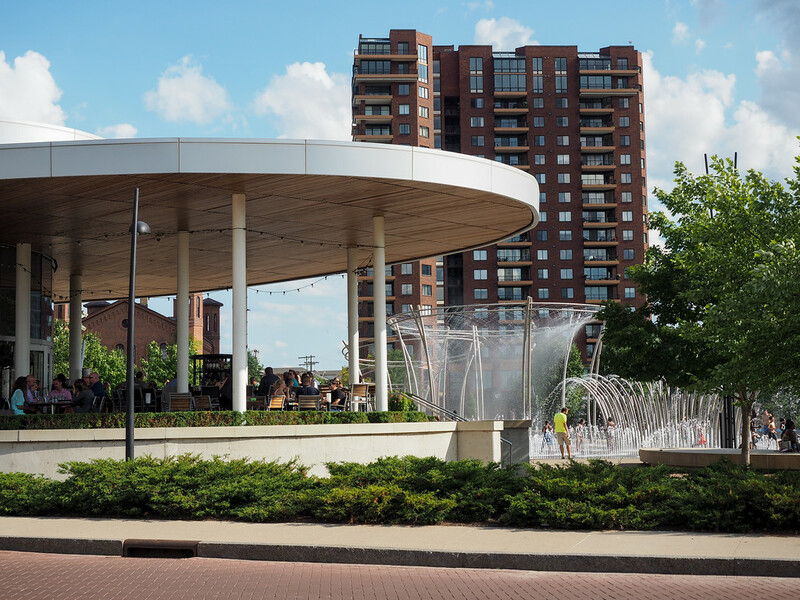 Our destination was the Scioto Mile, a riverfront park crisscrossed with bike trails and green spaces that stretches along the Scioto River from the Arena District to Columbus' Whittier Peninsula. And while the green space and downtown views were nice, I was obsessed with finding the 3 deer statues scattered throughout the park. 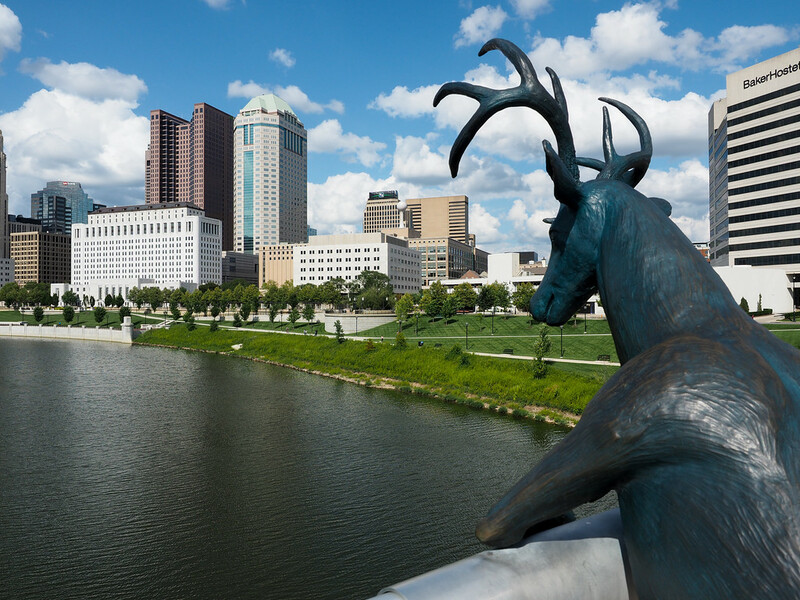 “Scioto” is a Native American word for “deer,” but these statues aren't *just* deer. 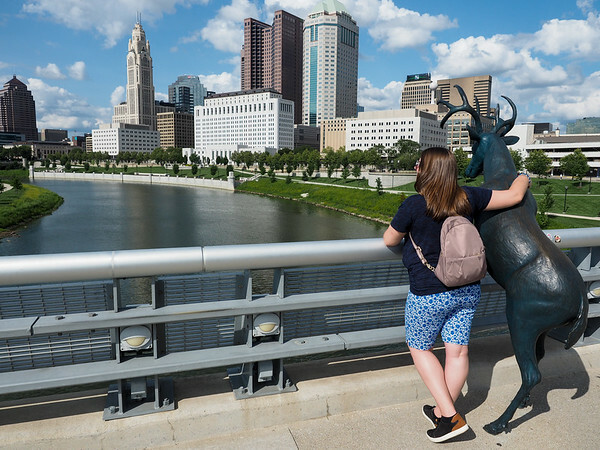 They're deer posing like humans, and I couldn't get enough of them (especially the one standing on the Rich St. Bridge)! Deer are definitely manly, so these fit in perfectly with the theme of our weekend. Yes, he wore this shirt on purpose. No, I did not tell him to. After a nice walk along the river (and maybe a few too many deer photos), we grabbed dinner and then headed uptown to Stars Indoor Sports, where we were going to try out something new: axe throwing! 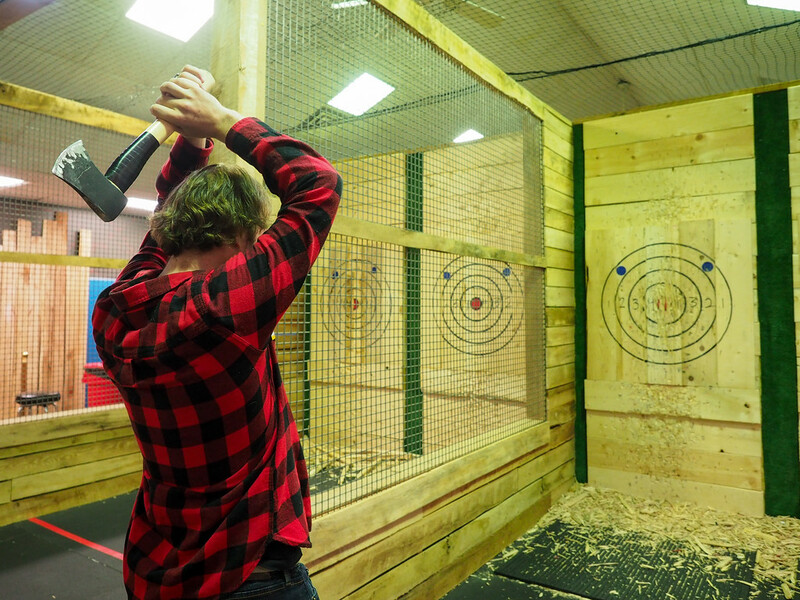 Columbus Axe Throwing is perfect for a fun date night activity, and would also be great for a bachelor party since you can have up to 12 people per “lane” and can grab a beer at the concession stand to sip as you throw. We had no idea what to expect from this axe throwing experience, but we both ended up LOVING it. An instructor first showed us how to properly handle and throw the axes, and then after some practicing we began playing some games. There were only 4 of us booked in for our time slot, so we got a lot of throws in! We won a tiny cup! This is definitely something we'll be doing again! 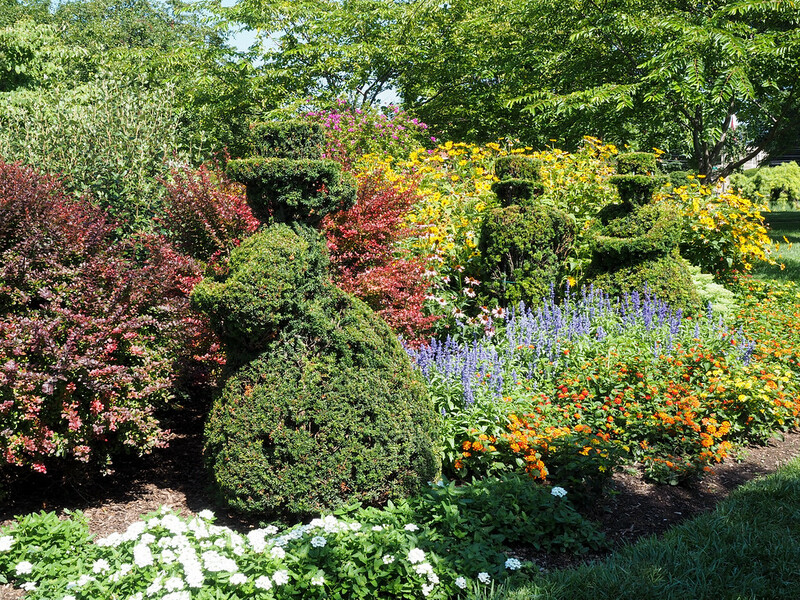 The topiary park is located in the Old Deaf School Park, which sits on the former site of the Ohio School for the Deaf in what is today a residential neighborhood not far from downtown. 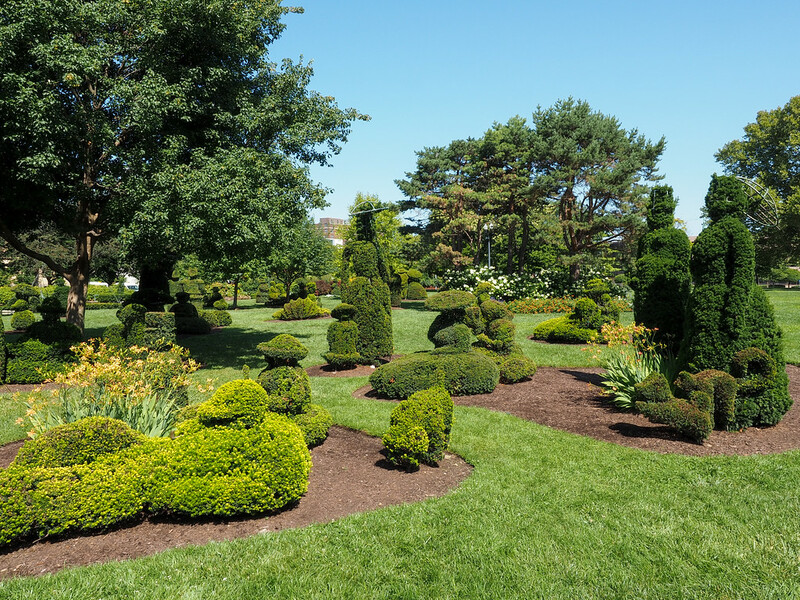 The Topiary Park itself was created in 1988, and is super unique. The topiary creations recreate Georges Seurat’s painting A Sunday Afternoon on the Isle of La Grand Jatte – likely the only topiary version of a painting anywhere in the world. 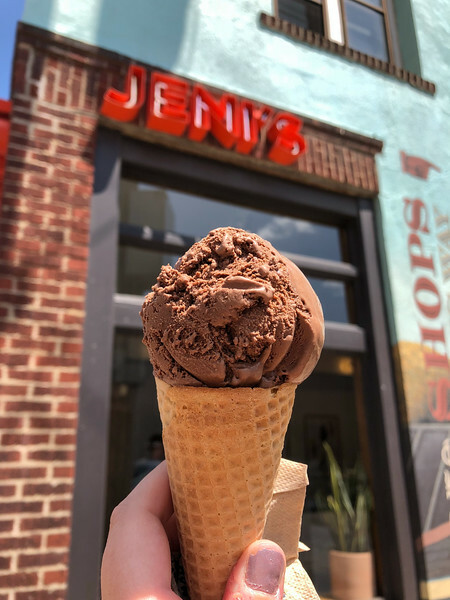 No trip to Columbus would be complete without spending time in the hip Short North neighborhood. 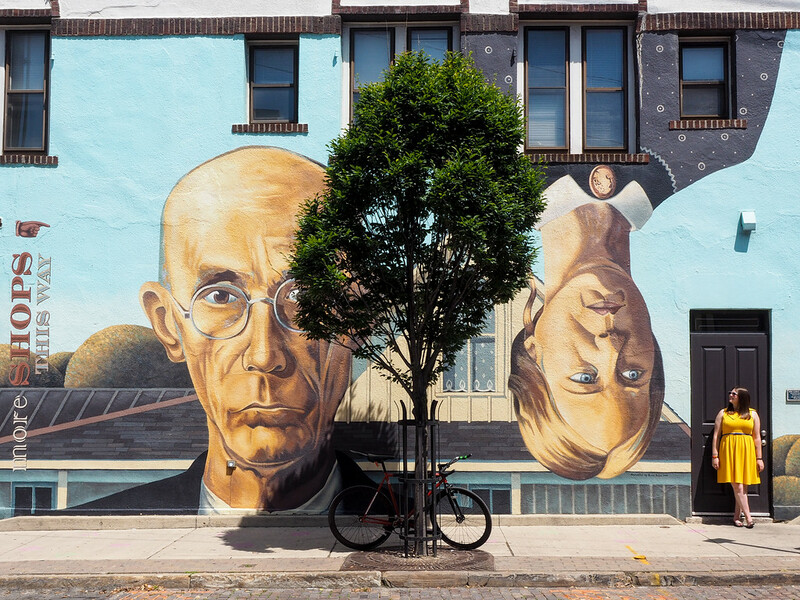 Artsy and full of cool restaurants and shops, this neighborhood is one of our favorites in Columbus. It's explore-able on foot, and that's exactly what we did. We also made sure to visit the Arnold Schwarzenegger statue outside the convention center. And if you're wondering why we have an Arnold statue in Ohio, it's because the annual Arnold Classic sports/bodybuilding competition takes place right here in Columbus every year. 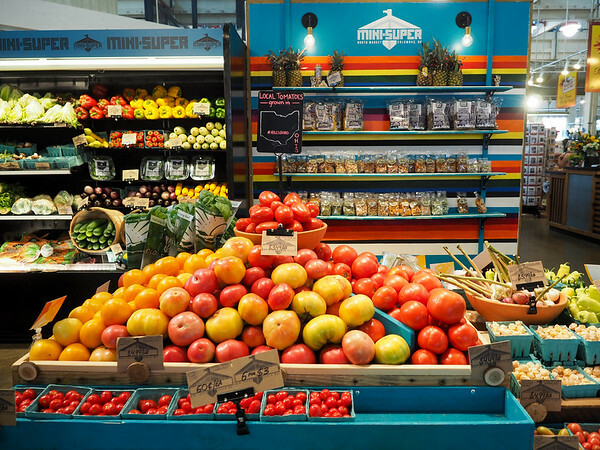 Lastly, don't skip out on North Market, a staple of the Short North. This market dates back to 1876, and is a favorite with both locals and tourists. 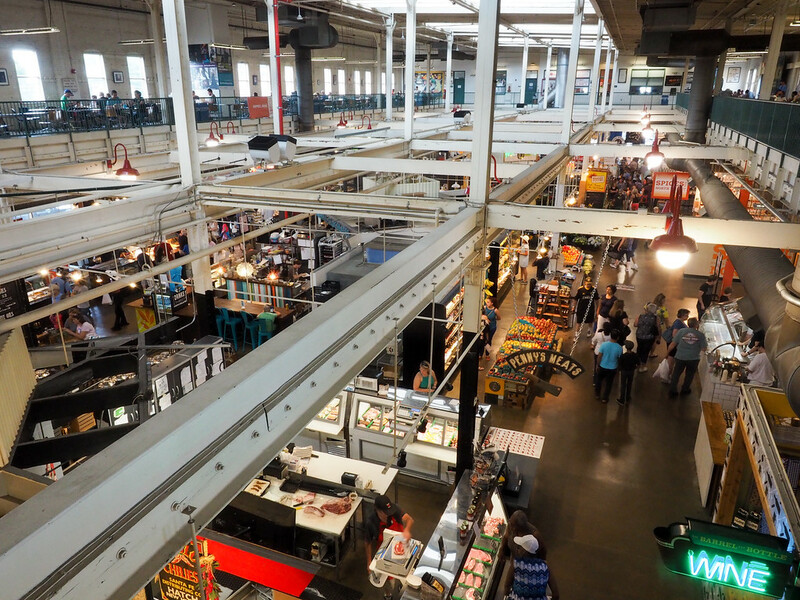 There are tons of places to eat, plus stands selling everything from meat to donuts to beer. 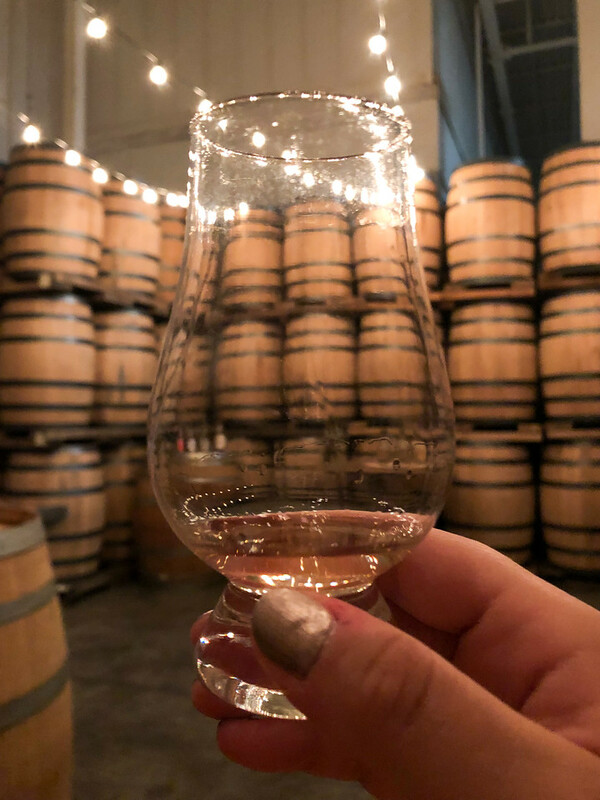 Columbus is home to fewer than 41 different craft breweries, and half a dozen distilleries – meaning you could spend a whole weekend visiting them and still only scratch the surface. For those interested in Columbus' beer scene, check out the Columbus Ale Trail, or join a tour with Columbus Brew Adventures. Since Elliot is more of a fan of spirits than beer, we decided to do a distillery tour instead, opting to check out Watershed Distillery. 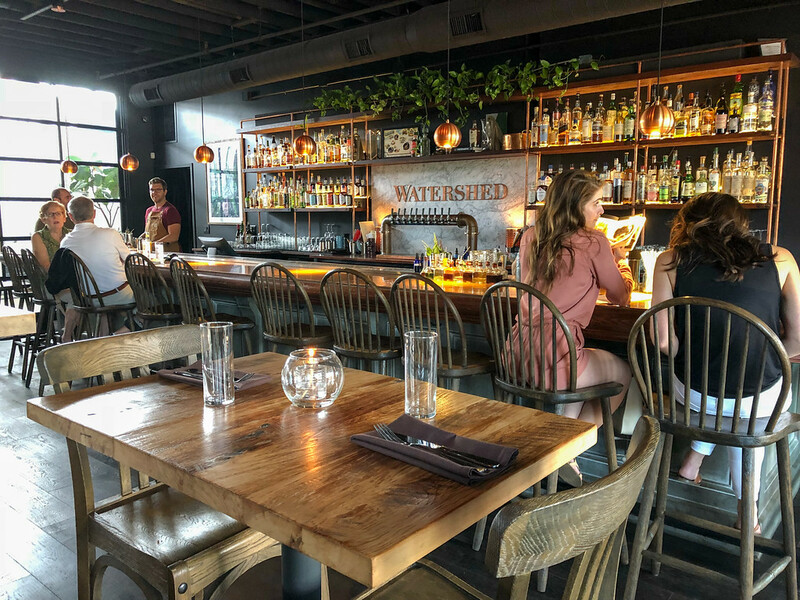 Founded in 2010, Watershed is a small distillery that makes mostly bourbon and gin, and is still mostly a family affair – we got our tour from the father-in-law of one of the founders. Simone Biles about to do her floor routine! Could we really go to Columbus and NOT do something sports-y? Columbus is such a sports-loving city that there's a good chance there will be some sort of game on when you're in town. If it's not an OSU team playing, it might be the city's NHL hockey team, its MLS soccer team, or its Triple-A baseball team. 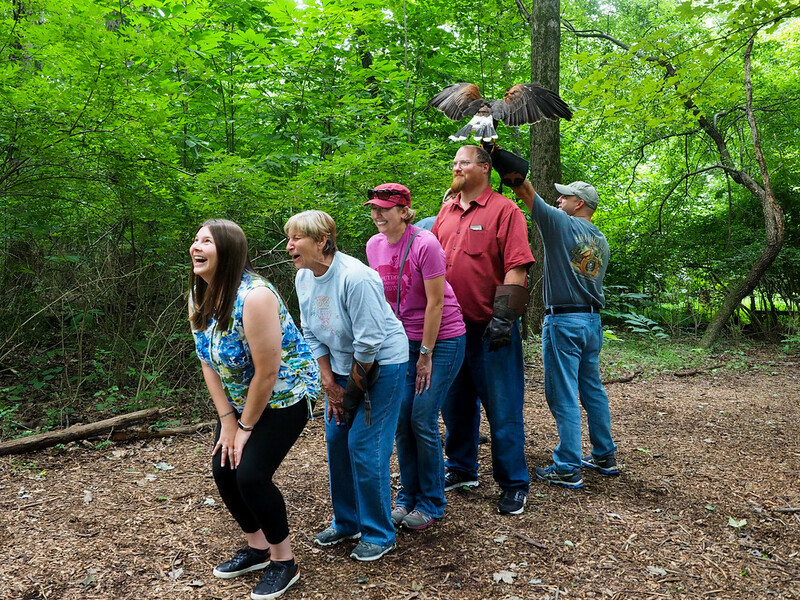 Start off the last day of your manly weekend in Columbus with a bang – or a squawk. 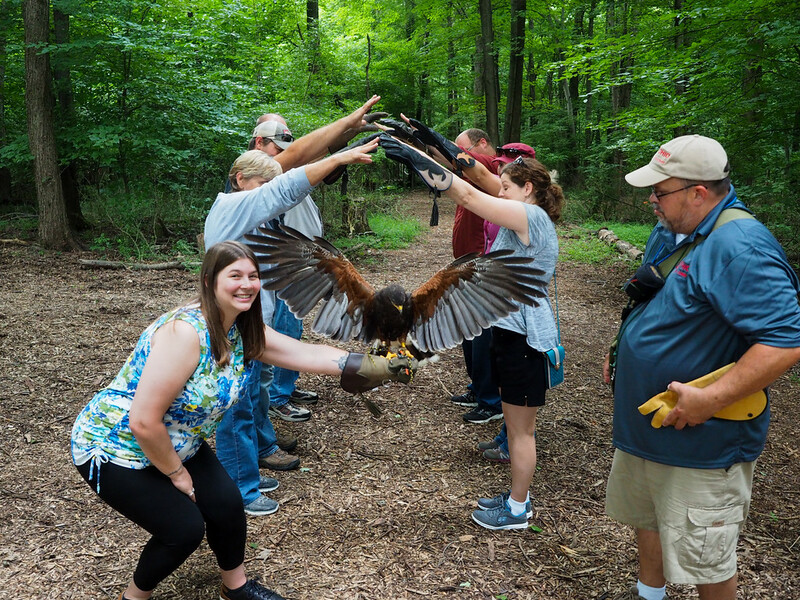 The Ohio School of Falconry offers educational and fun introductory falconry “classes” every weekend from April through December at Columbus' Camp Mary Orton. I know very little about falconry and wasn't entirely sure what to expect from this experience, but it turned out to be an amazing morning! 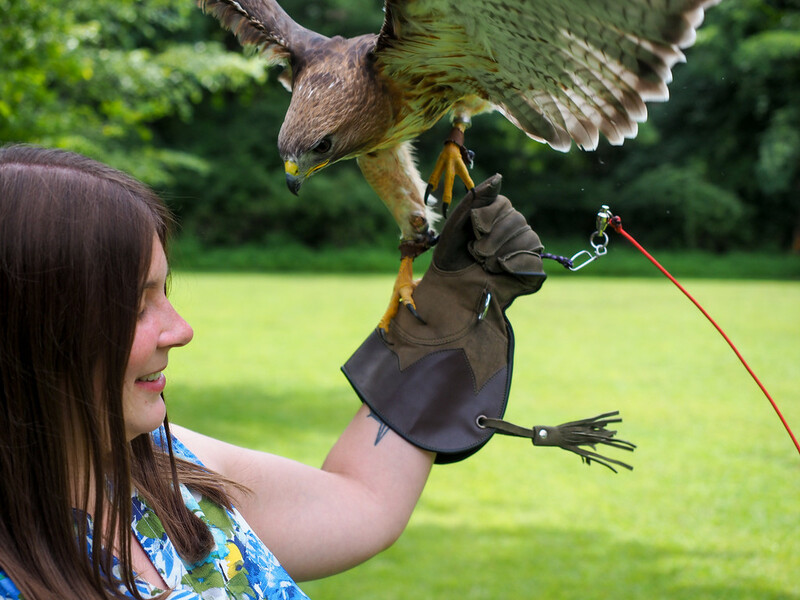 Not only did we get to meet (and hold) several birds of prey from a Eurasian Eagle Owl to a Red Tailed Hawk, but we also got to “fly” a Harris Hawk to and from our gloves. She flew up our “pyramid”! These birds are so beautiful, and I loved getting the opportunity to interact with them and learn more about bird conservation. We did the “Walk With Hawks” class, which lasted about 2 hours and introduced us to a handful of different birds. My only tip is to book in advance, as classes do sell out! End your Columbus weekend with a trip to German Village. 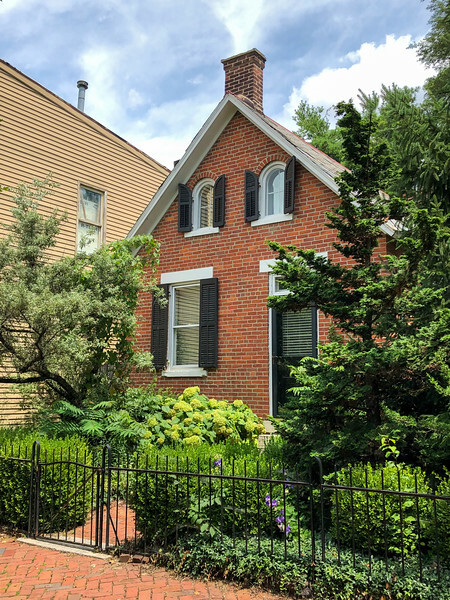 This quiet, leafy neighborhood just south of downtown was settled in the early 19th century by German immigrants (hence the name), and has been extremely well-preserved. 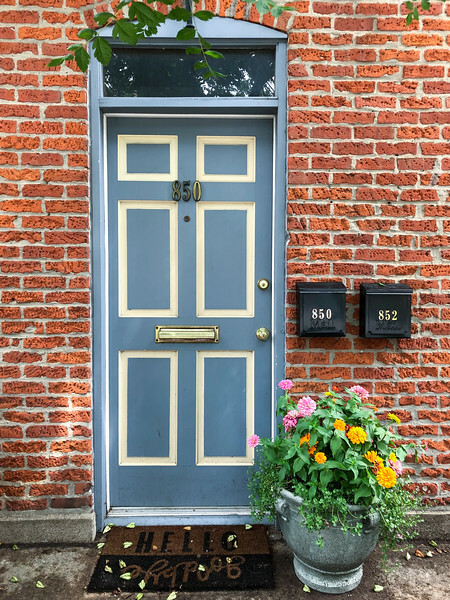 The neighborhood was added to the National Register of Historic Places in 1974, and you do kind of feel like you've entered another time period when you stroll down its brick-lined sidewalks. And be sure to allow some time to just walk. The houses here are all so pretty – just be prepared to want to move here after about an hour! When it comes to deciding on where to stay in Columbus, there are a couple things to consider. 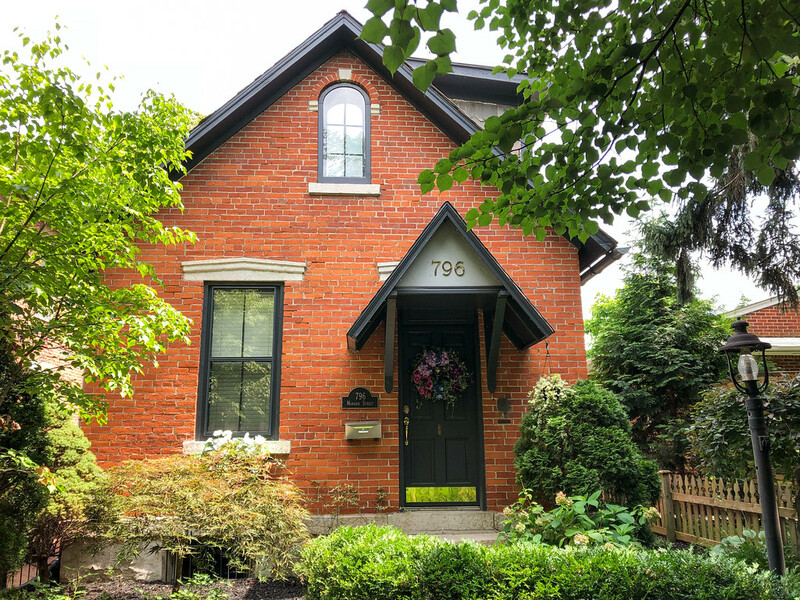 These include: proximity to downtown, price, and parking. We, unknowingly, planned our Columbus trip the same weekend as the Ohio State Fair, meaning many hotels were sold out and rates were higher than normal. Because of this, we opted to stay outside of downtown in order to get a better room rate and also avoid crazy overnight parking costs. 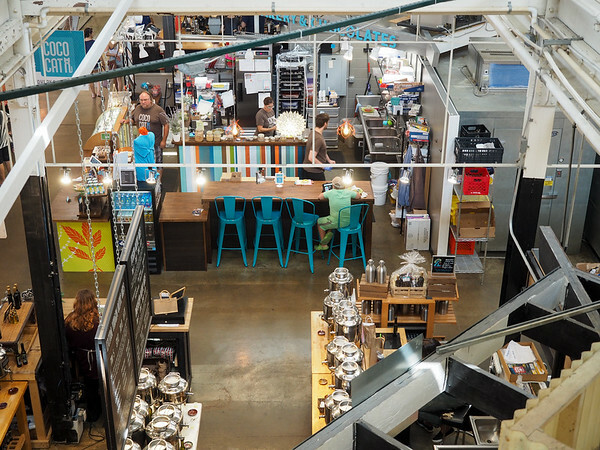 Did you know you could do all of this in Columbus, Ohio? 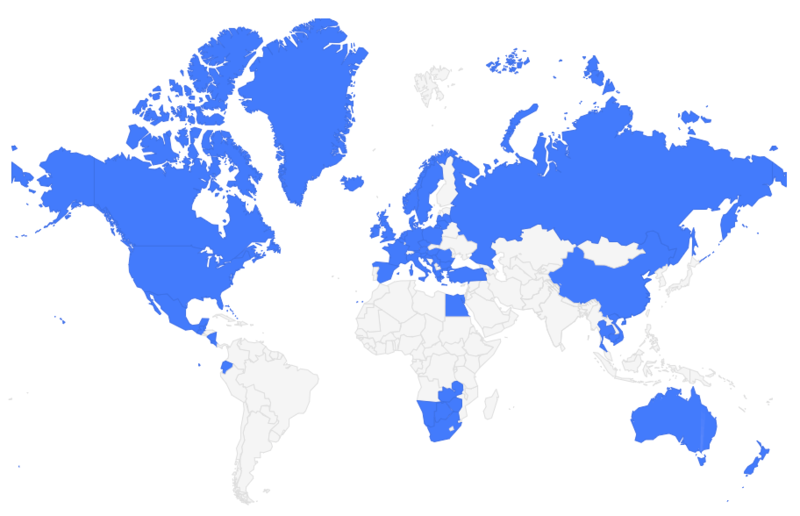 Who's ready to plan a trip? I didn’t know you could fly hawks in Columbus! I love Columbus, and the beer scene is great! Thanks for sharing these tips! 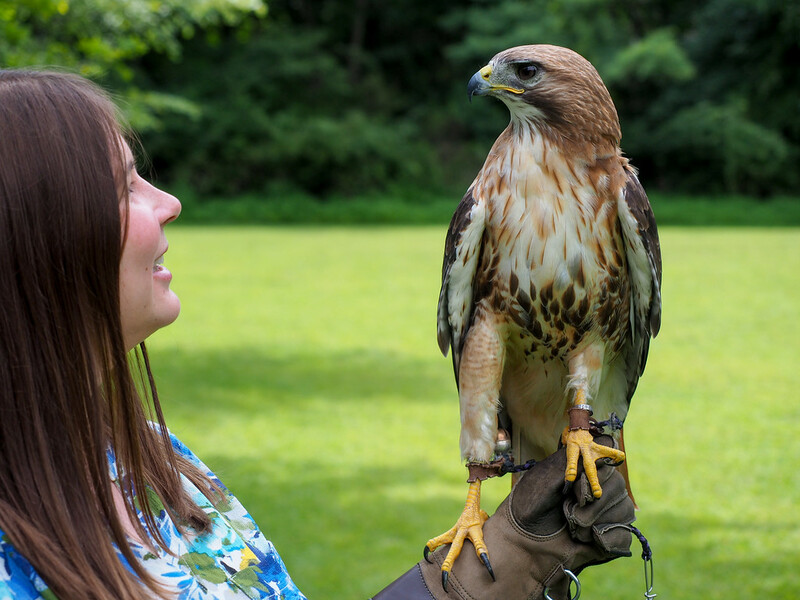 I feel like the falconry school is a big unknown in Columbus – even people who live there had no clue it exists! It was really cool though. I loved this glimpse of different things to do in Columbus. It was informative and very witty. I love the sense of humor infused throughout this post. I’m sharing it with my brother and nieces who will be in Columbus this weekend. Those deer, oh my gosh. I couldn’t get enough of them! My guy, you had me at axe throwing! The ax throwing and falconry look so fun and unique! Can kids take the falconry class? Thinking my 6 year old and 10 year old would love that. I think the age minimum is 9 for participating in the falconry class, though they also sell non-participant tickets, meaning you get to watch but not hold the birds. I don’t think there’s an age limit on those.